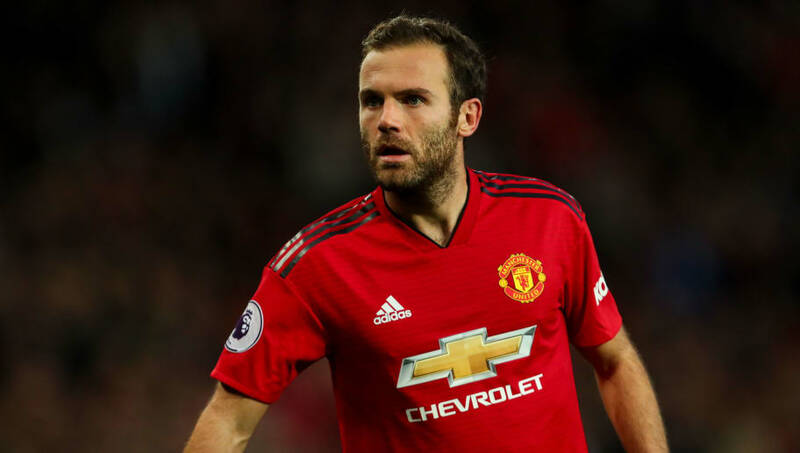 ​Manchester United are reportedly yet to offer a new contract to Juan Mata, with Arsenal and several clubs in La Liga said to be interested in the Spaniard, as he weighs up his future. Mata, who was United's club-record signing when he joined from Chelsea for £37.1m in January 2014, scored the winning goal in an unlikely Champions League win over Juventus on Wednesday. He also scored in the crucial comeback over Newcastle last month. But, according to the Daily Mail, Mata is 'still waiting' for the club to offer him a new deal and only has eight months left on his current £140,000-per-week contract. It is suggested that the 30-year-old 'would prefer' to stay at United, although he has been tipped to look to join another Premier League club if the offer from Old Trafford isn't forthcoming. Arsenal are apparently one such club that could be a possibility, with Mata previously working with Gunners boss Unai Emery during his Valencia days. There are also said to be a 'number of offers on the table' in his native Spain, where Mata hasn't played since joining Chelsea in 2011. A World Cup winner in 2010, Mata could be considered a replacement for Aaron Ramsey at Arsenal, with the Welshman set to leave as a free agent in June after failing to agree a new contract and seeing the offer that was on the table eventually withdrawn by the club. United supporters would certainly miss Mata. The Spaniard, who helped co-found the Common Goal movement where footballers pledge to donate 1% of their salary to charity, has become a popular figure at Old Trafford over the years. He is also a big fan of Manchester's Whitworth Art Gallery and owns a Spanish restaurant in the city. Mata has scored 42 goals in just under 200 appearances for United and has won FA Cup, EFL Cup and Europa League honours during his time with the club.